Argh, I'm completely in two minds over this lipstick! On the one hand, I just adore the colour. MAC describe it as an 'amped up fuchsia' which is a bit misleading as it puts me in mind of a blue-based pink. To me, Impassioned is a super bright, orangey-toned, almost neon pink that is much brighter than it photographs. It instantly lights up my face and brightens up any look. And as it's quite a retro shade, it looks great with my favourite flicky eyeliner. On the other hand, the formulation is quite drying. It's one of MAC's amplified creme finishes, which means it applies lovely and opaque with a slight shine but, on me, it starts to feel quite tight after about an hour's wear. And I don't like the way it fades; it stains unevenly, leaving my lips looking dry and patchy and generally unattractive. It has to be reapplied more frequently than I'd like. With its gorgeous looks, I'm prepared to forgive it these flaws and I'll continue to wear it at weekends and at night (it's a bit too in-your-face for the 9 to 5). It was a Christmas present, so it would be rude not to, and it is very, very pretty (thanks mum!). The dryness is also eased by the fact that I'm currently using the best lip balm in the world. But these lipsticks aren't cheap and for €17.50, I was expecting more. 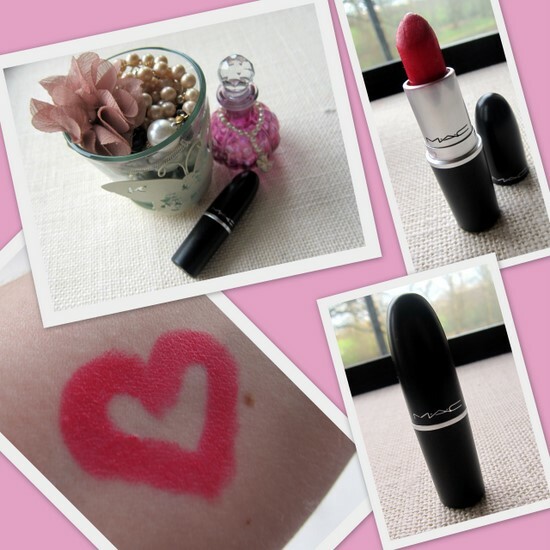 Have you tried Impassioned and what did you think? I find this with all MAC lipsticks, but they stay put for a good while on me. I usually put loads of carmex on before lining my lips and that kind of counteracts the drying effect. Love your pics. Not sure I have any amplified cremes, I like MAC satin finishes though and don't find them drying at all. This is definitely a lipstick that you need to apply & blot! I would wear it on nights out and if I get a good stain it tends to stick around pretty damn well. I love it! The colour is gorgeous but I have to agree that generally I find Mac lipsticks have to be used with a lip pencil & blotting to get an even fade out. Out of curiosity did all your loved ones buy you make-up for Christmas ? Oh I've wanted this shade for ages! I only own one MAC lippie (Russian Red) and I swear by it but at €17.50 I have been really thinking about what will be my second MAC lipstick purchase. I just love this colour!! I haven't tried this color, but I did try Ruby Woo, and it wasn't the right color for me. However, I have been dying to thy the La Mer lip balm. I am happy to hear it is wonderful. Lovely colour, my lips tend to dry out quickly though so not sure this would be good for me!